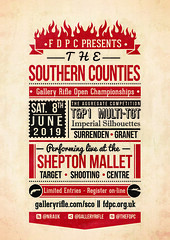 The Gallery Rifle and Pistol (GR&P) or just Gallery Rifle (GR) disciplines cover events shot at short and medium distances by various rifles and pistols using pistol calibre cartridges. 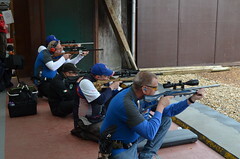 Many of the events are classified so competitors shoot against others of similar ability. 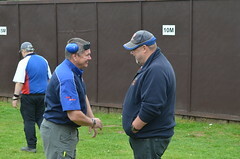 Open meetings are held the National Shooting Centre, Bisley (NSC) and at club ranges around the country. Competitors can take part at all levels from club through to international. 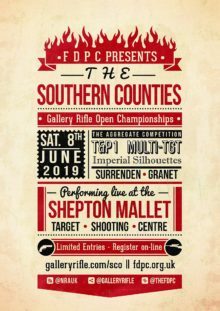 The Gallery Rifle community is as friendly and welcoming as any other area of target shooting and competitors of all levels of skill, ability and experience are equally welcome. There are four main categories. 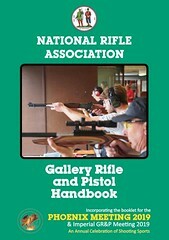 Gallery Rifle Small Bore (GRSB). 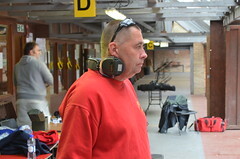 Most competitors use a semi automatic (self loading) .22 rifle. 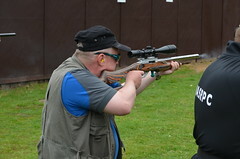 In some events however events it is possible to use pump action, lever action, bolt action or even single shot rifles. 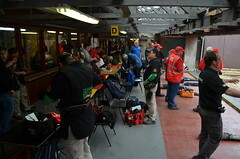 Gallery Rifle Centre Fire (GRCF). 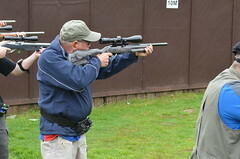 Most shooters use a lever action rifle in a traditional pistol calibre. 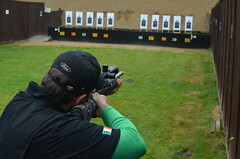 Examples of the most popular calibres are .38/.337, .44 or .45. 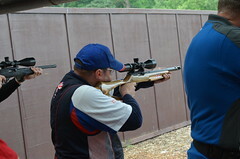 Other types of rifle are available which are gaining popularity including lever release designs in 9mm. Long Barrelled Revolver (LBR). 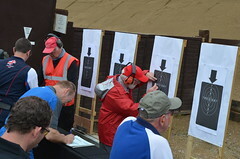 With an an overall length of 60cm and a barrel length of 30cm these types of firearm are designed to comply with UK firearms regulations. The revolvers are available in a variety of calibres. Most popular are .38/.257 and .44 although some competitors do use the .45 ACP. Long Barrelled Pistols (LBP). 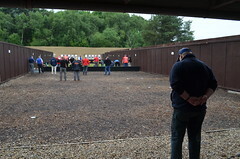 The LBPs are generally semi automatic types although single shot designs are available and are sometimes used for precision events. 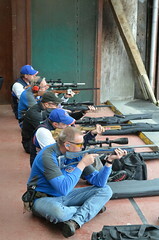 Like the LBRs they are designed to comply with UK firearms regulations. 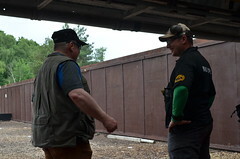 LBPs are available in .22 rimfire calibre only and can be used for all events. 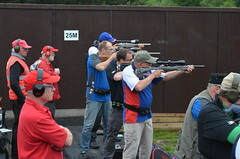 Most events are shot at distances between 10m and 50m although a few do go out to 300 yards. 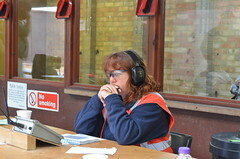 There is a large selection of GR events which only require range space out to 25 meters so the discipline is easily accessible. 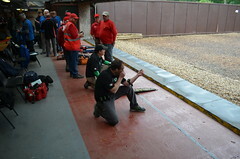 The most common shooting position is standing unsupported but some events do test the shooter’s skills from other positions such as kneeling, sitting or from the weak shoulder or hand. 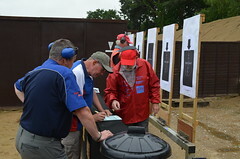 Some competitions are deliberate precision events whilst others require the competitor to shot and reload quite quickly. 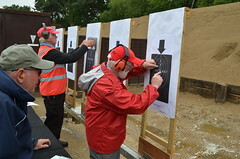 The targets can be stationary or turning at set intervals. 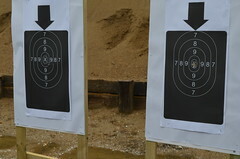 Some targets are even moving and reactive (eg steel plates). 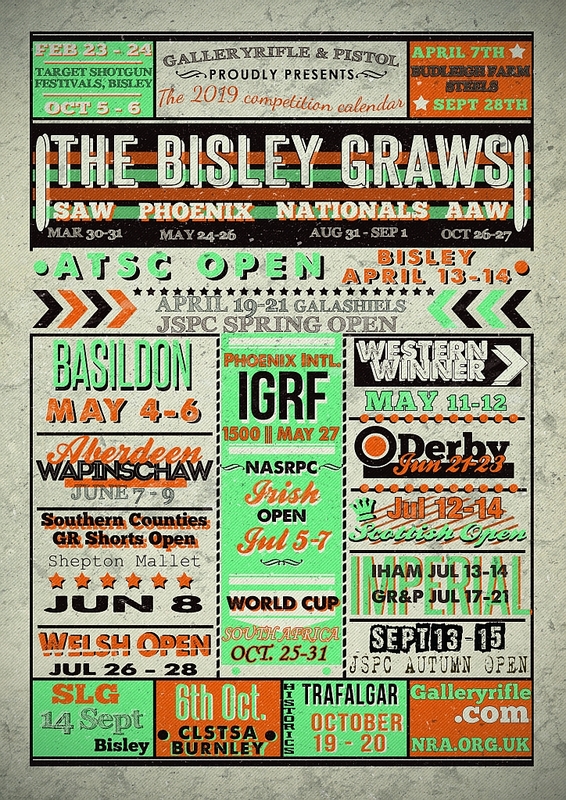 Many clubs in the UK have GR&P sections and will put on club competitions for members to take part in. 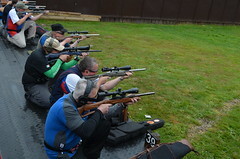 Some clubs also hold open meetings at which competitors from all over the country and even abroad will come to gain valuable experience in shooting at different venues and ranges. 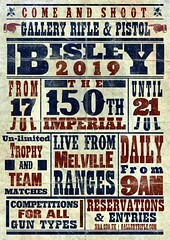 There are four open meetings of similar style and duration held at the National Shooting Centre at Bisley every year. 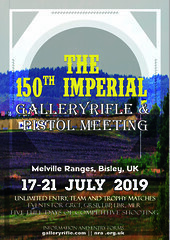 These include the Phoenix meeting held at the end of May and the Gallery Rifle National Championships held at the end of August. 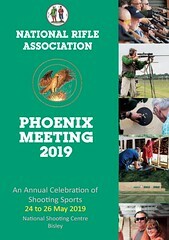 The Phoenix meeting is the premier meeting of the year. 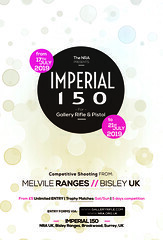 It attracts over 500 competitors and has a very wide range of events on offer not constrained to just Gallery Rifle shooting. 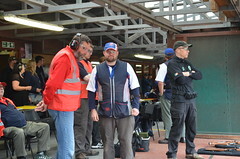 The National Championships meeting is a little smaller and more focussed on the GR disciplines. 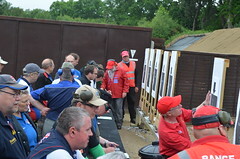 This meeting also hosts the GR Home Countries National Match where teams from England, Wales and Scotland compete head to head. 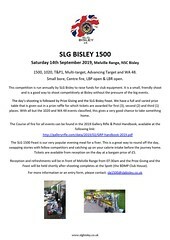 The Spring and Autumn meetings start and round off the GR meetings at Bisley respectively. 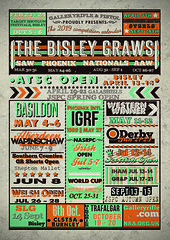 In addition to the above there are also GR sections at the Imperial and Trafalgar meetings. These events offer a slightly different perspective to the discipline by catering for authentic period firearms or ‘spirit of the original’ reproductions. 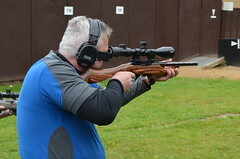 With competitions mainly demanding traditional iron sights many would argue this is the most demanding of the GR styles of shooting. 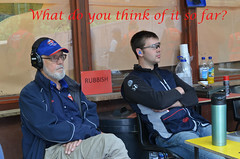 Others would beg to differ though – each to their own. 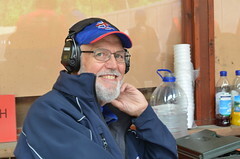 England, Scotland and Wales have GR squads and teams which are selected every year based on individuals’ performance across the preceding season. 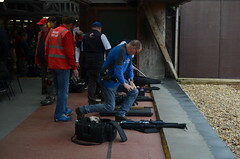 Likewise the GB national team is chosen in a similar fashion and represents the country in Europe and beyond. The text of this website [or page] is released under the Creative Commons Zero Waiver 1.0 (CC0).